In recent weeks several reports in the Arab media have indicated that Hamas is holding the bodies of two Israeli soldiers killed in Operation Protective Edge. On December 14, 2014 the al-Arabi al-Jadeed newspaper, presumably citing Egyptian sources, reported that Prime Minister Benjamin Netanyahu contacted Egyptian President al-Sissi with a request to open communications with Hamas for the return of the bodies of the Israeli soldiers, Capt. Hadar Goldin and Sgt. Oron Shaul. This is one of a series of reports of sanctions undertaken by the Egyptian President against Hamas after the movement helped the Ansar Bait al-Maqdas group carry out terror attacks against Egyptian soldiers in the Sinai Peninsula. One such sanction was delaying negotiations between Israel and the Palestinian delegation on implementing a ceasefire in Operation Protective Edge. The negotiations were scheduled to take place in Cairo under Egyptian sponsorship and were to include – among other subjects – the return of the bodies of Israeli soldiers held by Hamas. 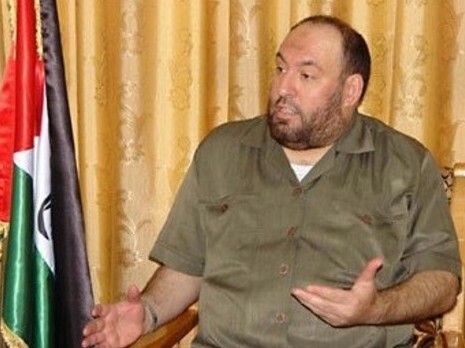 According to Hamas sources, these statements by Hamas political leaders angered prominent military leaders of the Izz ad-Din al-Qassam Brigades. The author of the article hoped that it would be up to the movement’s military leadership to determine mechanisms for any discussion about Israeli prisoners, as well as the timing and price to be paid by the Israeli enemy before receiving the information it wants. He strongly urged learning from negotiations in the Shalit exchange, and particularly shortening the duration of negotiations with Israel, since in that case they lasted about six years, which was too long. The fact that this article, published on the website of the Hamas military wing, was so strongly critical of the movement’s political leadership is evidence of tension in the upper ranks and a lack of coordination between the political and military wings on such an important subject. It could be connected in some way with leaks that Mohammed Deif, “Commander in Chief of the military wing,” was injured during Operation Protective Edge when a building he was in was bombed by the Israeli Air Force. Hamas’ military wing appears to aspire to recreate the type of negotiations in the “Shalit exchange,” hoping to claim a high price from Israel for every piece of information. This method was also previously employed by Hizbullah in negotiations with Israel on prisoner exchanges. The military leadership appears to be under pressure from Hamas security prisoners in Israeli jails, who expect their leaders to make good use of the cards they hold, namely the bodies of IDF soldiers, to obtain their release from jail. President al-Sissi’s move to postpone negotiations in Cairo between the Israeli and Palestinian delegations has caused agitation among those prisoners. This was reflected in speeches made at the assembly marking the 27th anniversary of the establishment of Hamas, when senior representatives called on the jailed security prisoners to stand strong and be patient, promising that they were not forgotten and that the movement would secure their release to Israel’s regret. The question now is whether the senior echelons of Hamas’ political wing will respond to the demands of the military wing and end their discussions in the media on the subject.